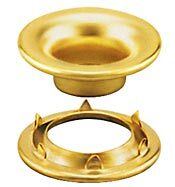 Brass Finish, 100% Brass SPUR Grommets. 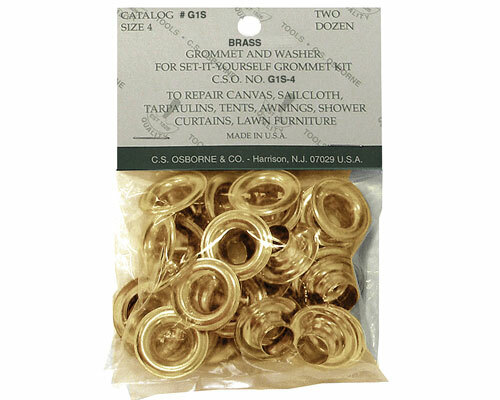 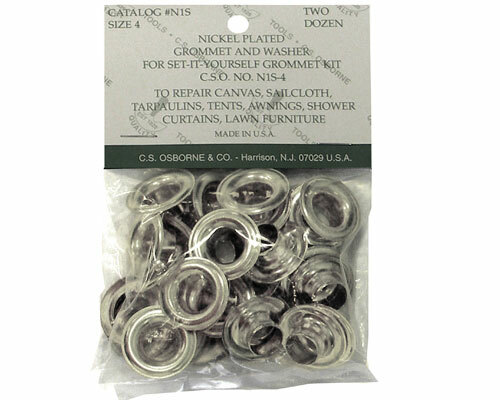 144 heavy gauge brass washers and grommets per gross. 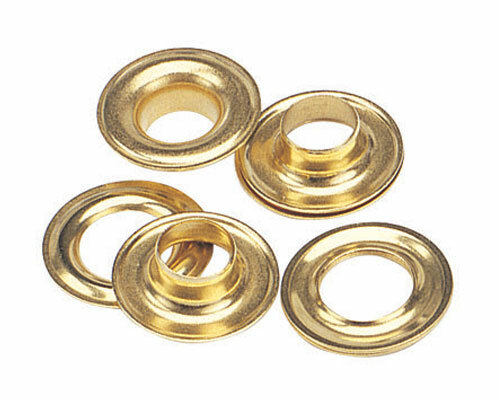 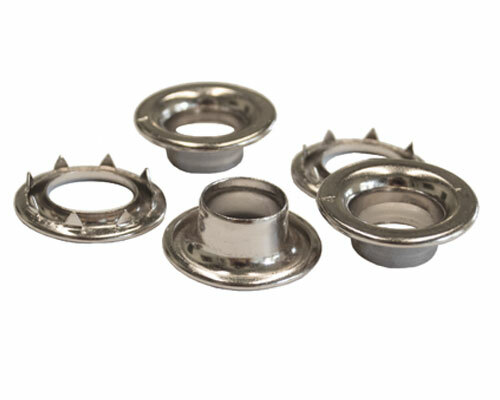 100% solid brass grommets available in brass. 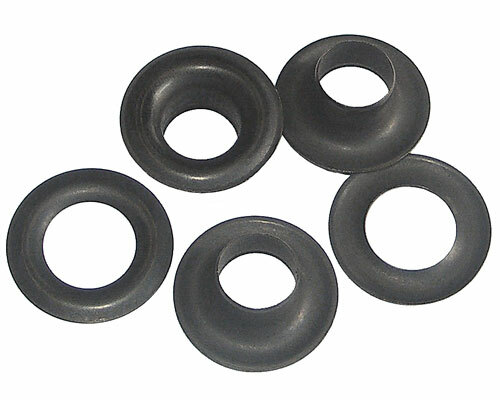 Punch holes before setting grommets with one of the following tools: C.S. 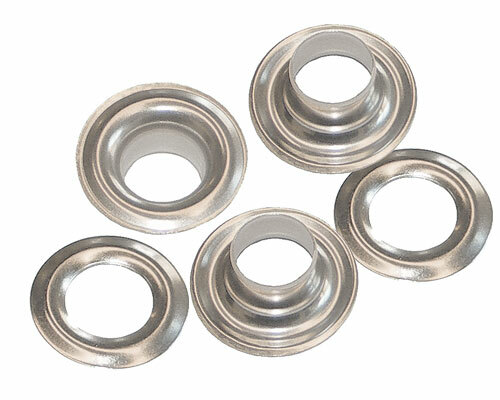 Osborne Drive Hole Punch, C.S. 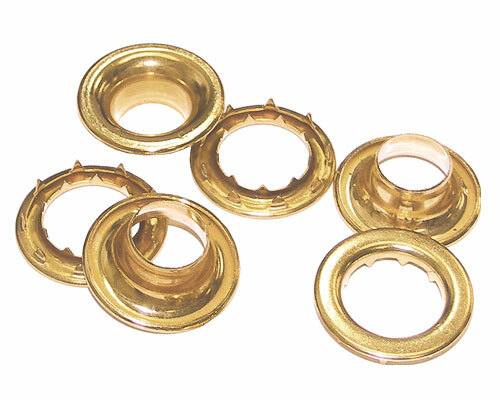 Osborne Revolving Hole Punch or Screw Hole Punch.